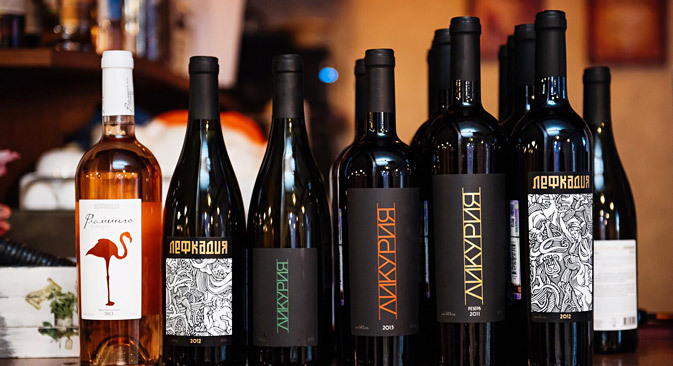 Krasnodar-based wine company Lefkadia will reproduce the images on its labels. The State Hermitage Museum in St. Petersburg has given the Lefkadia Company the right to reproduce images of the museum's exhibits on its wine labels. The wine producer has launched a wine series called "Likuria: The Hermitage Collection." Recently, the Hermitage signed a contract with the wine company from the Krasnodar Territory on the joint organization and realization of various cultural and educational events. "The museum has given the right to reproduce images of exhibits such as an Attic wine kylix (a vessel), David Teniers' Rural Feast, Andre Derain's Still Life with Earthenware Jug and White Napkin and Jules Cheret's Masquerade," said a Hermitage representative. Originally pusblished in Russian by TASS.